It’s a new year, it’s time for you to take your game to the next level. It’s time to show how bad you want your dreams. Here are the top 16 motivational blogs that’ll help you accomplish just that. Founder Joel Brown has created A2S with SUCCESS in mind! Addicted2success provides diverse content with blog posts, podcasts, interviews, videos and news on motivational and self-development topics. With so much value packed in one blog, it deserves to be in your bookmarks. From to-do lists to shaping your destiny, they cover everything! Tim Ferriss hosts the best blog on lifestyle design. He gives innovative advice on increasing your productivity manifolds and getting the most out of life. New York Times called him a cross between Jack Welch and a buddhist monk. His book “The 4-hour Workweek is a #1 New York Times, Wall Street Journal, and BusinessWeek bestseller. James Clear hosts one of the top motivational blogs providing high-value content on behavioral psychology, habit formation and performance improvement. He often shares wonderful stories in his articles. Greatist is one of the top motivational blogs that gives high-quality on healthy diet, living and fitness. You can take care of your body as well as your mind by reading this blog. The Art of Manliness has a unique way to tell you how to be a real man. You can learn about habits, mindset, relationships, and also about manly skills like keeping a beard. On this blog, you can learn about business, personal development, health and lifestyle. It also provides daily success quotes and fills you with positivity for the rest of your day. Ramit Sethi is one of the best personal finance gurus in the world. Over 1 million people read his content to improve their finances. So, if you want to learn how to save money, he is the go-to guy. Another one of the top motivational blogs you’ll find is of Mark Manson, a bestselling author and internet entrepreneur. On his blog, you’ll find straight forward advice on how to become better every day. Lifehack is one of the top motivational blogs on the web. It shows you how to succeed in career, build healthy relationships and take care of your health. Use this blog for all-round development in life and read daily success quotes. Michael Hyatt is the founder of a leadership development company and his written several bestselling books. If you want to learn from one of the gems, Hyatt’s blog is for you. Robin Sharma is a renowned life coach and author of some amazing books like The Monk Who Sold His Ferrari. You should check his “5 AM club” philosophy and learn the importance of “golden hours”. Zen Habits talks about all things zen. While many blogs write on success and motivation, this blog gives a unique spin to personal development by focusing on mindful habits. You’ll find interesting articles including 30-day challenges, the philosophy of discipline and so on. Brian Tracy has done really powerful work in the personal development domain. He has address about 5 million people worldwide through his keynote speeches. Also, he has written over 70 books that have been translated in many languages. Good Men’s Project is one of the top motivational blogs that covers diverse topics from fatherhood to retirement. So, if you want to become a better person, this blog has plenty of wisdom for you. Positivity blog will give you your daily dose of positivity along with some profound wisdom. You’ll also learn the philosophies of great men such as Mahatma Gandhi, Mark Twain and Bruce Lee. This blog is filled with simple and practical advice to improve your relationships and become successful in life. And it makes you search within yourself and find the courage to lead a fulfilling life. So, follow your favorite blog and make 2017 the best year you ever had! Whatever your goal is: to create more streams of income, get motivated, find your purpose or go deeper into your spiritual side – this list has something for everyone. At Fearless Motivation, we are determined to make your life better. 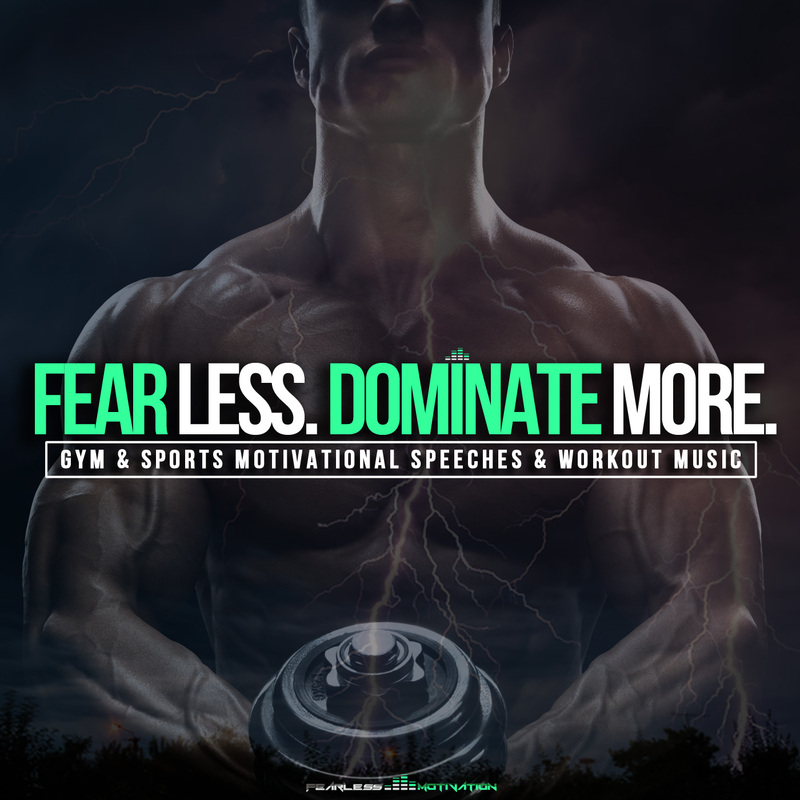 You get unlimited access to articles, motivational speeches, music, videos and daily success quotes. In our community, we compete with ourselves and hence we have intentionally kept our blog out of this list. Hi Fearless Motivation, you probably helped me more than you think tonight. I am in need to find positive reinforcing blogs and also of course ideas. You helped me. Now is too late but I intend tomorrow to visit your website and read more. Thank you very much again. I do have a website that works on people habits, reinforce positive thinking and use positive affirmations so it is nice to connect with other people in the same field. Explore love quotes, inspirational quotes, famous quotes, and get the best quotes wallpapers by popular authors you know and love. Kudos to Team FEARLESS!!! you’ve compiled the list of blogs that can help us build our dreams, change our lives, and positively impact the world around us. I have saved this page so that I can continue to inject myself with motivation, positivity, the power of believe and mind control to achieve my goals. Could there be a better and precise list than this one? These motivational blogs are simply the best ones out there. Some of them inspired me to start up my own blog. I follow most of them and found James Clear the best of all. His writing connects with the readers. Goodness me, these are amazing blogs you have listed here. I’ve always visited Brian Tracy, Life hack and Marc and Angel, I’m a member of their email newsletter. I hope to be mentioned in similar lists in the coming years as I grow my blog. Brian Tracey is my absolute favorite. I’ve read Thinking Big several times, for me it’s just the best. His videos on Youtube are also just outstanding! He’s just a legend. Id have to say that i find myself going back to Tim Ferris because he has some amazing short cut tools, like the 80/20 rule, and seems incredibly productive! Great post, and I want to check out The Greatist! I learnt about life hack from this page. i got inspired to start my own inspirational blog and today it’s up and running. Awesome collections all are the great motivational blog, inspiring each and every thing the blog was awesome thanks for sharing with us. Amazing work, Great List of blogs, thanx to Fearless Team. Thanks for sharing, Tim Ferriss is my idol. I think Tony Robbins should be added to the list. wow, nice sharing. i’ve just looking for this motivation blog for upgrading my writing skill and make inspire content for everyone. thank you. I love reading other motivational blogs . I’m always looking to be inspired and inspire others. I write over at https://herlifeonpurpose.com and we inspire women daily with amazing stories. can’t wait to read everyone on this list. Very informative blog regarding Self-improvement and get a personal motivation. Thanks for sharing this amazing post! Cool list that you have got here. I will be checking these websites for a daily dose of motivation. What makes this list great is that it covers all areas of self improvement and narrows it down my niche. Money, Habits, health, life hacks, and fitness, it is all here, awesome all in one great list! Thank you for taking the time to put this together. Desire is the starting point of all achievement, not a hope, not a wish, but a keen pulsating desire which transcends everything. Only desire can change your whole life. It’s so great having access to such an amazing list of incredible sites! Thanks so much for putting this resource together. Can’t wait to check them all out! Why don’t we see any women on the list? Yes, I’ve got a suggestion. “Deeper Perception Made Practical” — a blog that has motivated readers to crash past 42,000 comments. I’m the woman who writes it, clearly demonstrating fearlessness right now! Plus the fearlessness of packing the website with videos, when I could be three times your age, Fearless One. But that doesn’t make me flabby…. Wishing you great and continued success! Yes, I am a fan of Mark Manson and zenhabits. Great article and killer collection about the motivational blogs. This stuff is amazing to read i have personally implemented some tips and recommendations to follow. -Thanks for the all amazing posts! this really takes fearlessmotivation to the next level and help anyone become a pro. -the way this blog is designed truly makes it very easy to build in abundance the greatest success and also has great style. Among those sixteen blogs, the one that I always regularly check is zen habits by Leo. I read Brian Tracy book some years ago, so I was surprised that he did have a blog too. Anyway, thanks for sharing the list. Really helpful. Nice work but you can still check some motivational articles on gethopes, I love reading from there too. Thanks For Sharing. it boosts my confidence. Great inspiration, all websites who are the best in sharing self develop stories. Really amazing and informative. Loved it and I’ve followed. Looking forward for more 🙂 Thanks for this . Cheers !! This is a great post and the responses are outstanding. I would love to add new insight but everyone has done such a great job. I hope my Multiloaded Empire makes it to a list like this in future. Fearless?I just found another one! A2S, Robin Sharma and Everydaypowerblog were my favorites before. I love this list. I’m just discovering Tim Ferris and planning to read up on his 4 Hour Work Week! Solid List. I really like Tim Ferris, Mark Manson, and Brian Tracy. If you guys like these blogs you should check out my blog. Wonderful list. I’ve been following some of them on regular basis. Just wanted to explore more. Thanks for publishing this list. 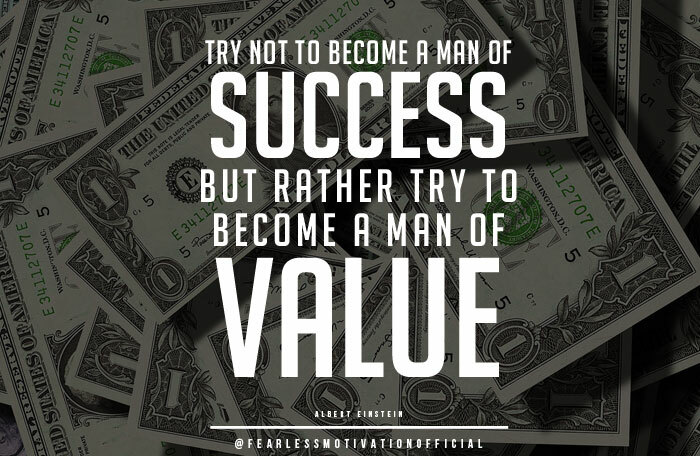 It’s really valuable. Great motivation for who are needed motivation for life. This is a very nice list of blogs. Thank you so much for sharing and putting all together. This can be helpful for everyone. Fantastic list of top motivational blogs. I have read some of these already. Some of them are new to me. Will check them out! I did go through with the blogs in detail and each one has their own inspiration to be followed. Thank you for sharing all of them under one umbrella. Many individuals are carrying on with a dull life. They spend a great deal of time completing things for the day however they overlook that their chance on earth isn’t endless. We ought to be reminded that the things that we do today can never be fixed. Awesome, got list of motivational blogs at one site. This is very helpful thanks for sharing. Motivation needs for every human being. Great Blog, The Motivational & Self Development Blogs is very useful. Brian Tracy and Greatist became my favorite blogs. Will certainly follow the other blogs too. Thank you for the great list. This is very helpful thanks for sharing. Every human being needs Motivation. Thank you for sharing all of them under one umbrella. The Motivational & Self Development Blogs is very useful. Thanks for sharing this amazing list. I knew about a few of them, happy to find many more. These blogs will definitely be in my bookmark list. Thanks for collecting them all at the one place. In this blog, I really like the description of motivational speakers which help to decide the right person according to my job. I wrote earlier to a reply of yours. I just want to thank you for this post- you do not have idea how much it helps me. I also work in a positive field, subliminal self help to be exact. I believe in power of suggestion, in positive thinking and in Law of attraction. I also want to thank you for collecting all those website in one place. Great post! You have shared a well-researched list of motivational blogs. I have added you in my friend list and looking for your next post soon. Will recommend others. Thanks for the great list! These self development blogs are going to motivate my life! I genuinely appreciate your blog. Your article has truly peaked my interest. i like this website very much, Its a real nice berth to read and find info. I will bookmark your blog so when I have time I will be back to read much more, Please do keep up the excellent work. Thanks for the guide. I have looked into the links and have particularly liked the work being done by Success.com and michaelhyatt.com. Exactly just what I needed. I am struggling with self worth and self love I feel as if am not enough sometimes that problem disrupts my studies need help on that .In a way I conquer me my feelings emotions without listening to those who belittle me.